We’d love your help. Let us know what’s wrong with this preview of Catholicism by Richard Bennett. 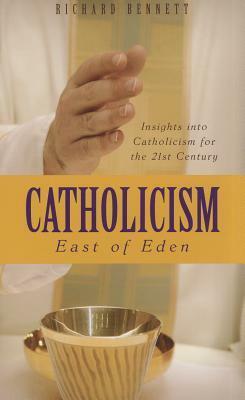 In Catholicism: East of Eden, the author has endeavoured to address the 21st century issues of Catholicism with candour and empathy. Each topic is carefully documented so that the reader who wishes to know fore certain if what is written here is true can easily find the information. Here is a book that speaks to both mind and heart. To ask other readers questions about Catholicism, please sign up. Often ex smokers are the most motivated and vocal antagonists in respect of the weed; just so with this author, who was himself a priest for many years, before concluding that catholicism was not a gospel believing religion. He is enthusiastic to his subject, but gives plenty of scriptural referencing to press his points. Not to be dismissed. I am 3/4 through this book, written by a former Roman Catholic priest who is now a born again Christian by God's grace! I love the education I am finally getting on the Roman Catholic Church!